home > Calendar & News > Latest News > Uncategorised > Comprehensive Enrichment Programme finishes with a bang! Comprehensive Enrichment Programme finishes with a bang! 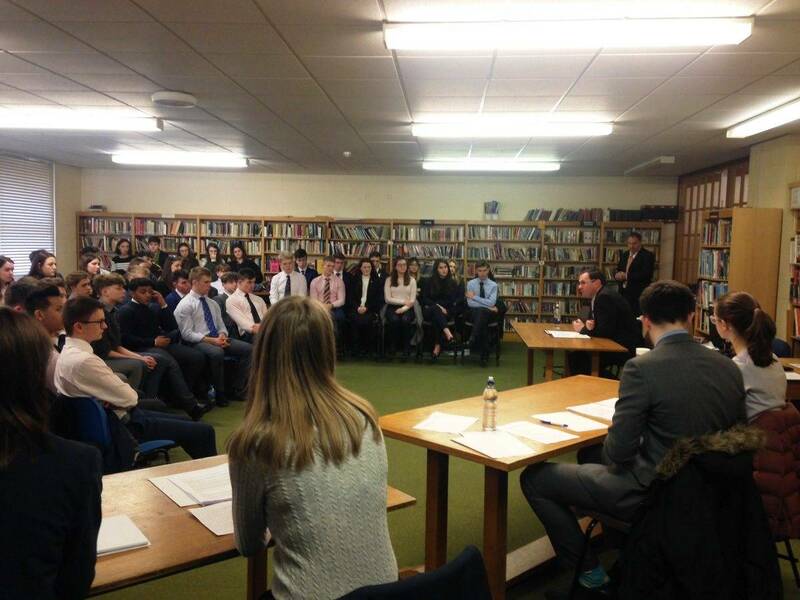 The Enrichment Programme finished the Term with a bang as the 6th Form took part in a Mock Trial, commonly referred to as a MOOT; which is an assembly held for debate which dates back to the Anglo-Saxon and medieval times. The MOOT was put together by legal expert William Morris and was based on true events. 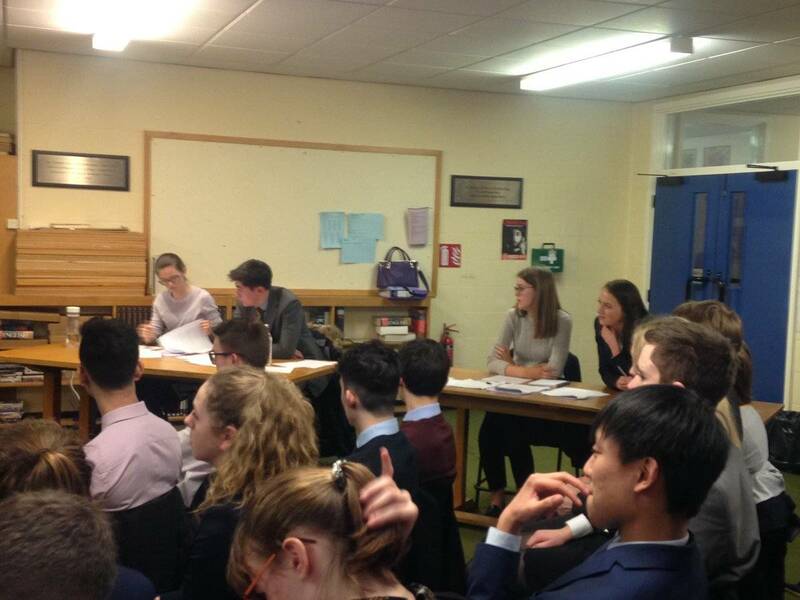 The prosecution, Katy Landles and Remi Clarke and the defence, Ellie Papworth and Tom Collie, grilled two defendants and cross-examined a number of witnesses in a court run by the Headmaster, Mr Staley. After deliberations by the 12-person jury the foreman of the court, Amy Everall, delivered a split verdict, with one defendant being found guilty and the other not guilty. The MOOT was finished as William Morris explained the full story behind the events. This created an excellent link to the Enrichment Lecture by DSI Ian Saunders earlier in the year, who came and spoke about his career and experiences in the police force over the years. 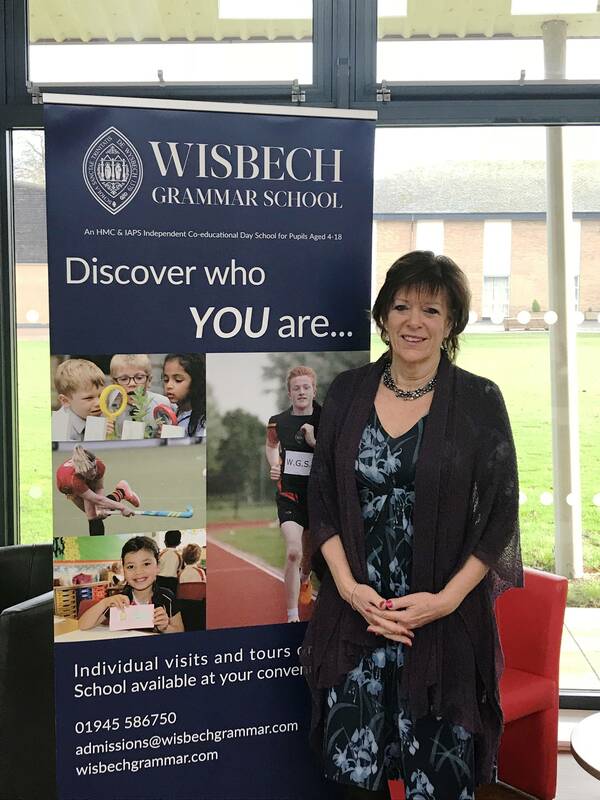 The Enrichment Programme brought 12 speakers to the School over a very busy Lent Term; many of whom are leaders in their field. The pupils were able to hear about real-life examples of leadership, both good and bad, and ask engaging questions to the likes of Master Chief Intelligence Officer Mike McKay from the US Navy, Group Captain Brian James from the RAF and Ian Deveroux. They were also able to delve into the world of media and fake news as KL.FM Radio’s morning show host Simon Rowe visited the School, followed by Dr Lisa Chambrlain-James from Trilogy, who delivered a thoroughly fascinating lecture on ‘Bad Science’ and ‘fake news’. Additionally Patricia Duff delivered a lecture on her Archaeology work at Cambridge University and around the world, Dr Richard Lissaman from Warwick explored the links between Maths and Computer gaming, Ross Viner discussed the developments in renewable energy and Mike Hart showed the pupils how 3D Brain scanning is being used by neuroscientists. The wide range of lectures available to the pupils have allowed them to explore potential career paths as well as ask questions of those who are leaders in their field, whilst the challenging topic areas and content have stretched the pupils outside of their comfort zone. We are very thankful to all of those speakers who have given up their time to visit this term.